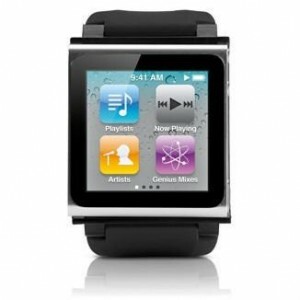 Apple Inc will enter the smartwatch market later than its rivals Xiaomi and Samsung. However, it is expected that the company will be the sales leader of smartwatches for the year with its Apple Watch. The Apple Watch launch could be in San Francisco as early as next week at an Apple event. Apple has not disseminated any date for its Apple Watch release. Lateness entering the market with its wrist wearable might not be much of an issue in stopping the Cupertino. California based tech giant from taking the market of smartwatches by storm, just the same way it did with its latest generation iPhone 6 and 6 Plus series. During the most recently ended quarter, Apple sold over 74.5 million units of iPhones and took close to 80% of the worldwide smartphone profits because of the huge success enjoyed by the iPhone 6. Apple is expected to represent 55% of the smartwatch shipments in 2015. The estimate is that Apple will ship over 15 million of its new smartwatches this year. The sale of the Apple Watch is expected to accelerate smartwatch adoption in the marketplace similar to the way the iPhone 6 did with boosting worldwide sales in phablets during 2014. It is expected that smartwatch shipments will increase by over 500% in 2015. Approximately 4.6 million smart wearables were sold during 2014, and that number is predicted to reach over 28 million in 2015. Apple is expected to be a benefactor of the uptick in smartwatch sales due to its famous international brand, loyal and huge fan base, its massive presence at the retail level and a great app ecosystem. Apple is expected by most people in the industry to launch the Apple Watch March 9. There was some speculation that Apple would not launch its device until sometime in April. However, Apple recently sent invitations out to a March 9 event in San Francisco without disclosing anything, which gives speculators reason to believe the Apple Watch arrival will happen on Monday. The new Apple wearable is expected to include Apple Pay to support in-app and store purchases and it expected to function as an iPhone extension, allowing for checking and receiving emails and notifications.